I often use the calendar.google.com interface to quickly add events. 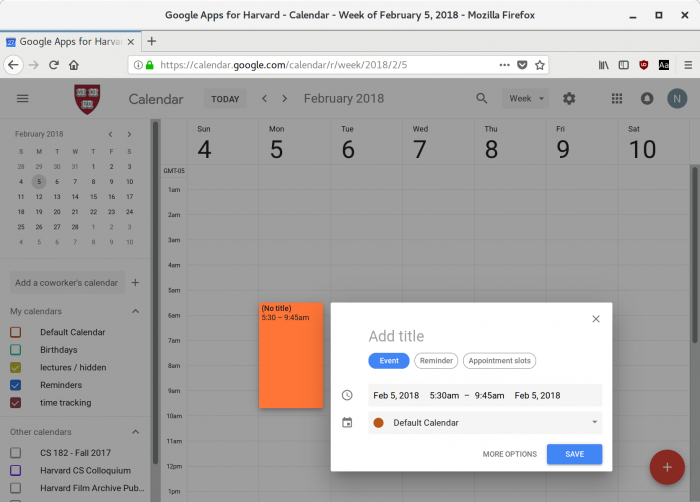 However, I was frustrated as sometimes I want to quickly add events to a calendar that was not my default calendar (the one that is automatically created for you when you first use google calendar). The key is to make sure that the only visible calendar is the calendar you wish to add events to. The use case below: I’m using a calendar for “time tracking” to see roughly what I’m spending time on and block out what I plan to spend time on. 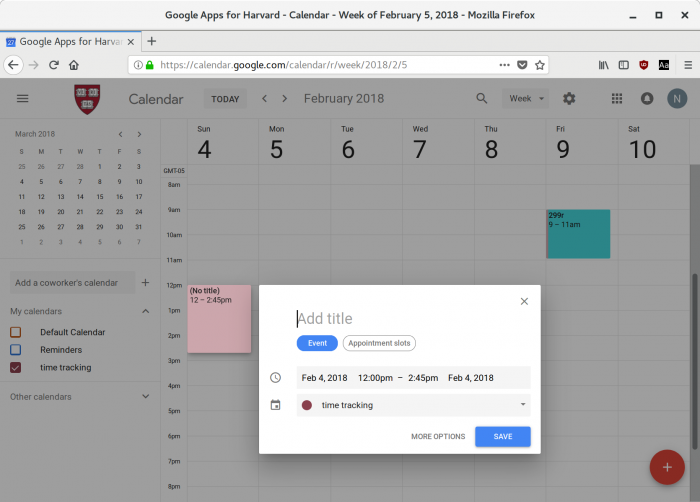 If you view any other calendar (that is, more than one calendar is displayed), then google calendar reverts back to adding events to the “default calendar”. Two articles I first read, before I realized that I don’t need to change my default calendar (I was searching for “change calendar google adds to by default”) in order to change the calendar clicking on the website adds to.